This next gift idea is one I whipped up for a friend…so don’t tell her I made it. I think she reads my blog at least semi-often, so I know she’s going to see it soon enough. Oh well. We were never too good at surprising one another anyhow. Take a peek. 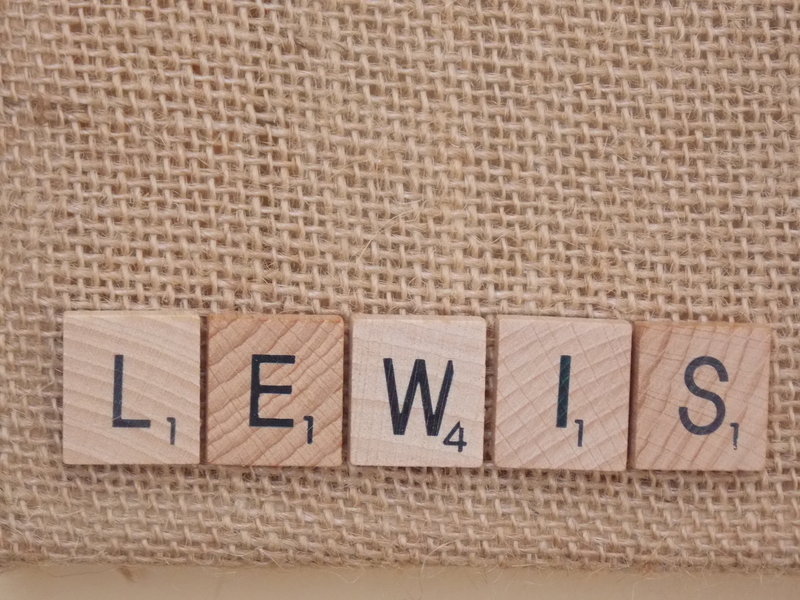 It’s all the names in her family spelled out in scrabble tiles. Each name intersects with at least one other. I started with the parents, then did the oldest child, and built from there. 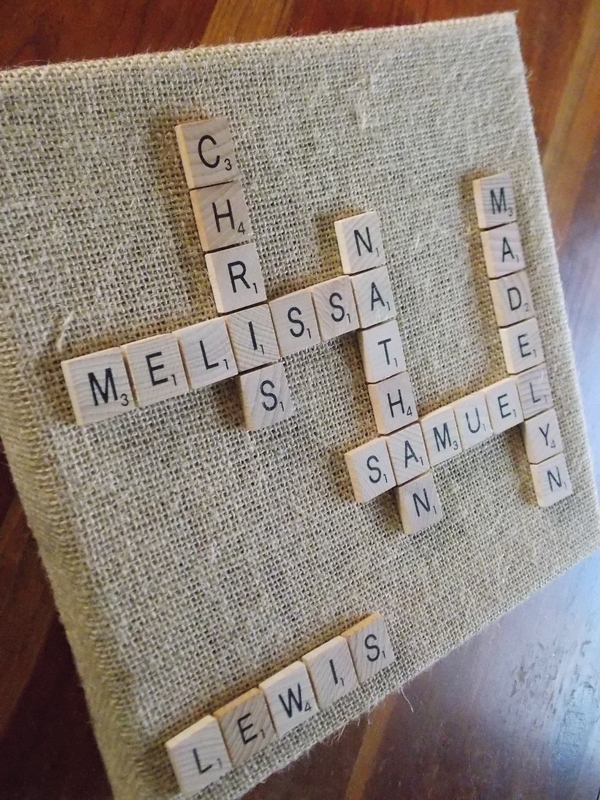 The letter tiles I purchased off of Amazon and the burlap board I found at Wal Mart (or you can cover a plain canvas with burlap). Wal Mart had many sizes and shapes, and I believe this one is 10″ by 10″. 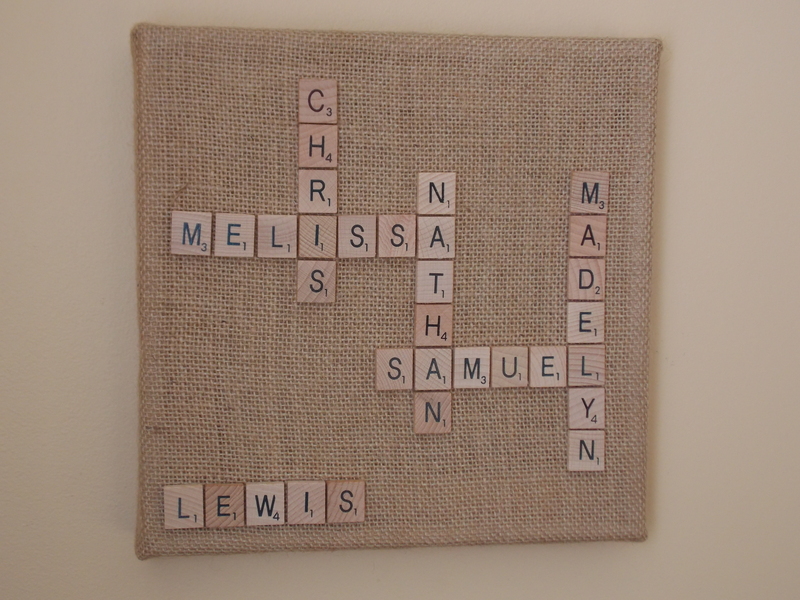 Each letter is just hot glued onto the burlap. 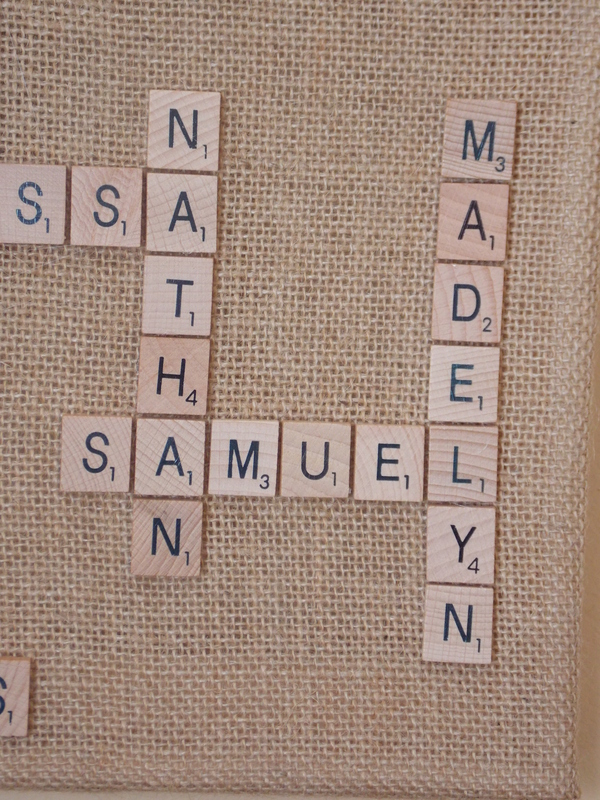 One corner of the board looked a little empty, so I placed their last name in that spot by itself. All in all, I think this is a neat family gift that is very personalized.